Flight via Malaysia Airlines took close to three hours. 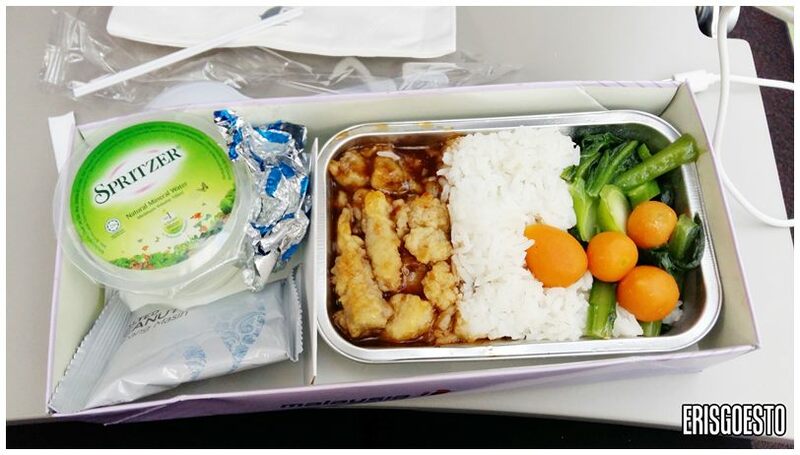 They served decent airline food – rice with boiled vegetables and ginger fish with a side of peanuts and water. Juices were also available on request. It was evening by the time we checked in at Le Meridien KK, just across the road from the Filipino Market. 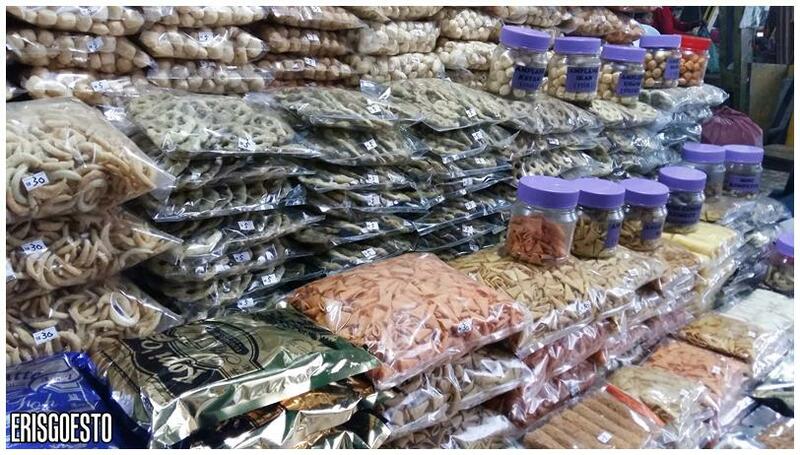 Here, visitors will find all sorts of local delicacies, produce and snacks such as fish crackers, amplang and kueh cincin. 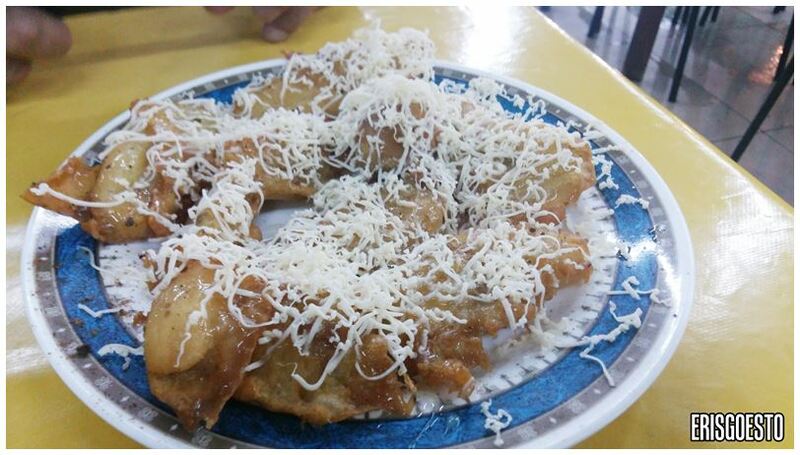 It started raining cats and dogs almost as soon as we got to the market, but the PR guy I was with wanted to get Pisang Goreng Cheese (fried bananas topped with cheese) from a food court about a kilometer down the road. We decided to brave the rain with flimsy umbrellas, but had to stop at the nearby Oceanus Mall because we were soaking wet. The mall seemed sad and empty in the evening. 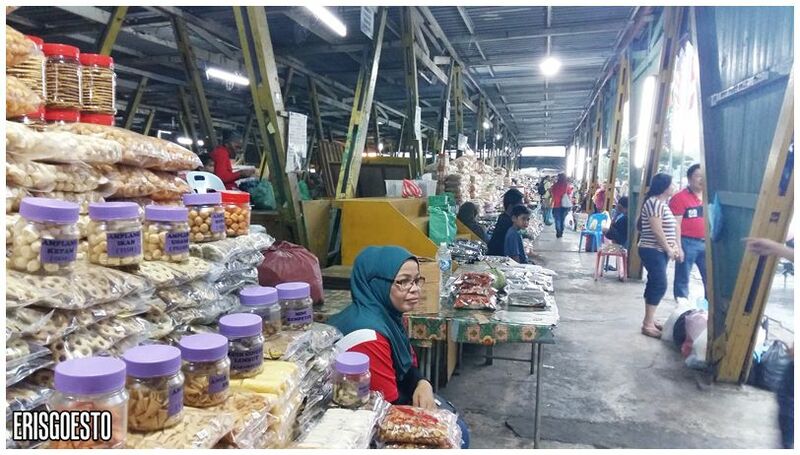 There weren’t many patrons and most of the shoplots were empty. We bought socks to replace our soaking wet ones. While strolling around, we heard a shout, a loud bang, and next thing we knew a huge gush of water came pouring down from the upper floors. Security guards rushed over.. turns out a panel under the escalator gave way. The rain eased a little. 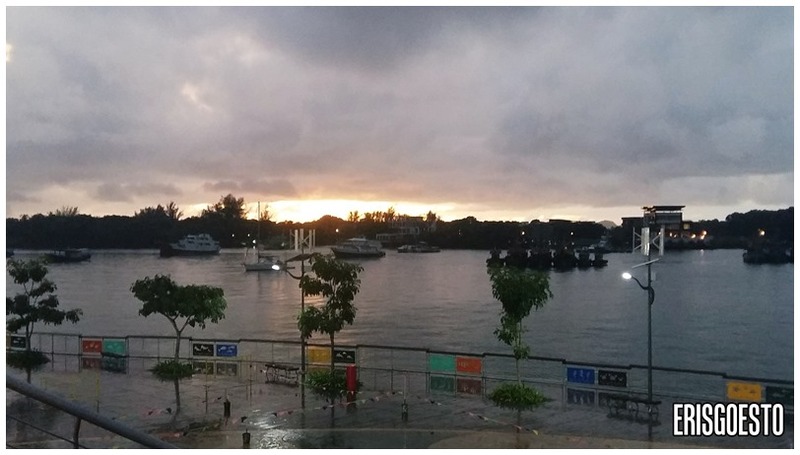 We were privy to a beautiful sunset view at the mall’s ocean front, where boats were docked for the night. Finally made it ! Pisang Goreng is a well-loved Malaysian snack, similar to the Filipino banana cue. A few years ago some genius decided to put shredded cheese on top, and this simple addition resulted in a popularity boom. The version here uses generous amounts of savoury, stringy cheddar, which does wonders for the crunchy battered bananas. It was also drizzled over with some syrup for added sweetness. Worth the walk in the rain!